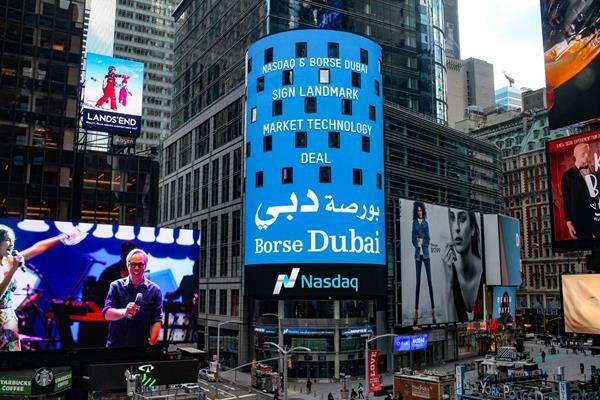 Nasdaq and Borse Dubai have signed a new infrastructure agreement for Dubai’s stock exchanges, Dubai Financial Market (DFM) and Nasdaq Dubai, to improve post-trade practices. Under the agreement with Borse Dubai, the parent company of DFM, Nasdaq will deliver a new INET-powered, multi-asset trading technology engine (Nasdaq matching engine), a cash equities clearing module (Nasdaq packaged clearing) and enable an in-memory-vetting model on the central securities depository (CSD) solution, which will “increase performance, speed and resiliency”. The revamp is expected to be completed by early 2019. Essa Kazim, chairman, Borse Dubai, says the overhaul will enable it to “introduce numerous financial instruments and products through an efficient and highly advanced platform”. Nasdaq says the revamp will support Borse Dubai’s growth focus, such as boosting efforts to attract domestic and international capital. Borse Dubai was created on 6 August 2007 to consolidate the Government of Dubai’s two stock exchanges as well as current investments in other exchanges. DFM has been a Nasdaq market technology client since its inception in 2000.